This is a daily flip calendar that can be used perennially. 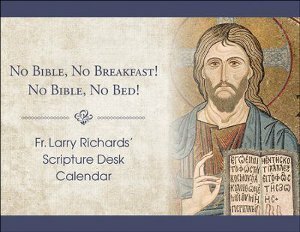 Each day has two entries: a Bible verse for your morning, with a little one or two sentence injunction from Fr. Larry Richards. $12.95.